I don't know if you are like me but I love fabric, I love threads, I love lace and I love beautiful linen! 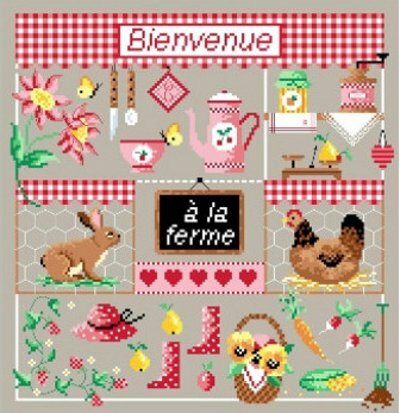 So when Madame La Fée released this new pattern a few weeks ago, she really made my day! I had to add it to my wish-to-stitch list. I love its vintage looks, its colours and its delicate borders. It makes me think of my grand-mother who was a linenkeeper. 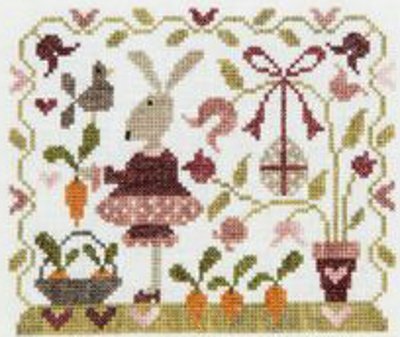 This new pattern is avalaible through our A Stitcher Life collection, our Home & Other Rooms collection (see House & Home section) or the designer page. Just click the picture for details. ... well, not yet but in "stitching time", we all know that there is no time to waste if we want to be ready for Christmas! So here is the latest Madame La Fée design, called Bientôt Noël, with both a modern and a traditional look (something that Madame La Fée is very good at!). New also in our Christmas range, Passion Bonheur Joyeux Noël. Browse our Christmas selection to discover, or re-discover, more gorgeous patterns and accessories! Bienvenue à la ferme! (Welcome to the farm!) 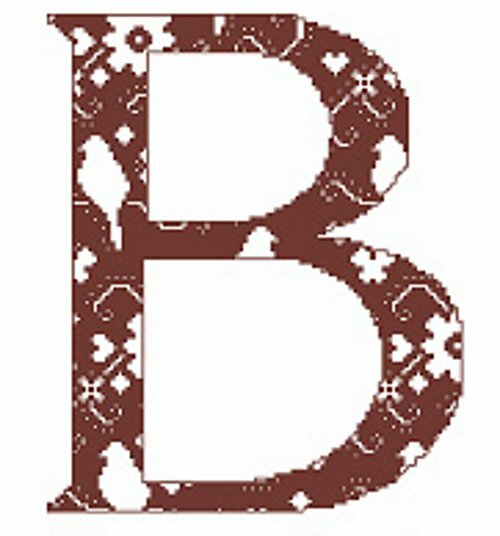 This is the name of a new design by Passion Bonheur, featuring her characteristic fresh and simple style. If you like red gingham fabric, do not miss our complete kit "Confitures", which will enable you to stitch a lovely cover for a notebook in which you can record you best recipes (even the notebook is included in the kit!). Also worth more than a glance, Madame la Fée "Cuisine de Famille" design which is a longstanding success. And if you just happen to love the colour RED, browse the Red Shades patterns in our "By Colour Shade" collection. 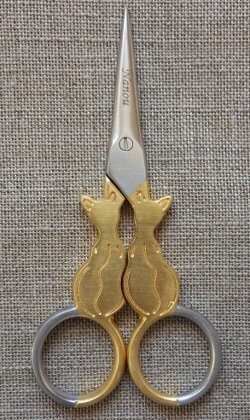 Each new design by Madame La Fée is always eagerly awaited here in France. "Maison de Charme" (Elegant House) is another proof that "Lady Fairy" knows how to catch the spirit of the times. As with all Madame La Fée designs, you can work the full project, which is always a rewarding challenge, and/or re-use the different patterns in a project of your own. For my part, I just love the bunch of peonies! 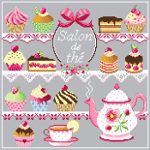 Many of us are fond of cakes in general, and of cross-stitch cakes in particular! That is why at SoCreaStitch, we have a category of products dedicated to charts featuring Cakes and Sweets, so that you find them more easily. Among them, the Malin Maline's series of Pretty Cakes stands in the foreground with its five matching designs: Cupcakes, Macaroons, Doughnuts, Religieuses and of course Jolies Pâtisseries (Pretty Cakes) which you can now purchase as a complete kit. SoCreaStitch kit does not include the double cake stand hanger as some of you may prefer to frame their work in a more traditional way. But you can buy it separetely here, in our "Hangers" selection. 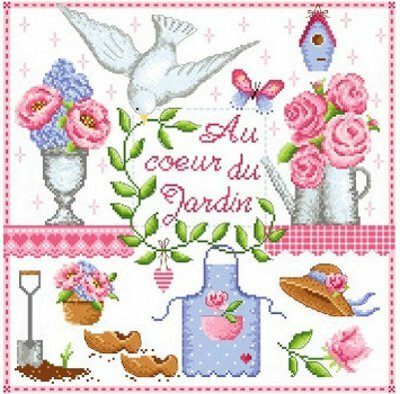 Au Coeur du Jardin (At the Garden's Heart) is a brand new design just perfect to celebrate the come back of warmer days. 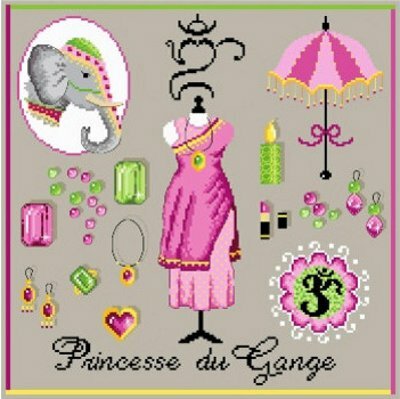 With its delightful colours in the blue and rose shades Passion Bonheur likes so much, it makes you want to take your needle and start a new project! If you like Passion Bonheur's fresh style, you may be tempted by her ABC with Flowers or her Charming Spring and Sunny Summer designs. All Passion Bonheur's patterns here.